ACT, « Applied Computer Techniques » is founded in the UK as a “computer bureau”. Its main activity is to rent working time of its own computers to other companies. The ACT Apricot is released. 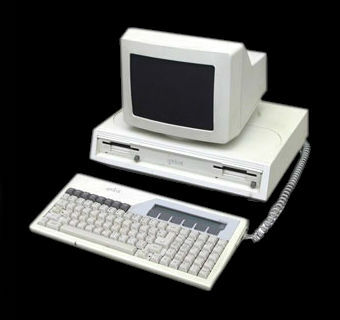 It comes with an amazing 800×400 resolution screen, a 3.5” floppy disk-drive (the first one available outside of Japan), and a range of other features that aren’t even found in machines costing twice its price. To top it all off, it also has a remarkably stylish design. This PC is manufactured in the new factory of Glenrothes, Scotland, thanks to inspired engineers like M. Peter Horne. Apricot F1 is destined for the home computer market, Apricot PC Xi is for corporate usage, and the Apricot Fle is geared towards the education market. ACT provides PCs that are more powerful and more economical than their competitors; a winning combination that leads to tremendous success. 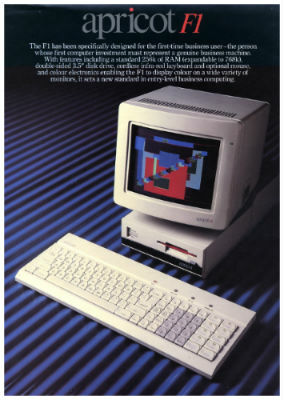 The revolutionary Apricot Portable: the first computer in the world to use the new generation of 80-column, 25-line displays with built-in speech recognition. 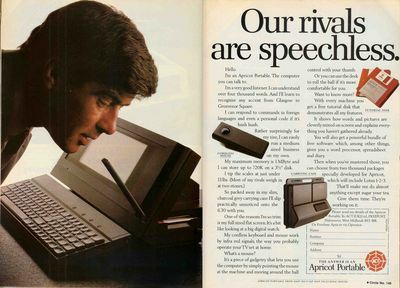 With its wireless keyboard and optional wireless mouse, which communicates with the computer via an infrared link, it is nothing less than revolutionary ! ACT renames itself « APRICOT COMPUTERS ». This is due to the success of the Apricot F1 and their desire to conquer the US market. They enjoy 30% of the UK market share and are a key European player in this new industry. They boast a 92m£ turnover and a 10.6m£ profit. Massive advertising campaigns are launched all over Europe and in the USA. A star is born. The XEN-I machine is introduced. It provides more power, and a larger number of features and facilities within a system that is smaller as well as cheaper than the IBM AT. 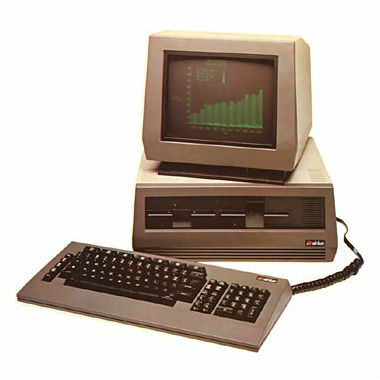 The XEN is the first APRICOT that is100% compatible with an IBM PC. It doesn’t use Windows 1.0 as its operating system but GEM, designed by Digital Research. Apricot is now truly synonymous with business computers. 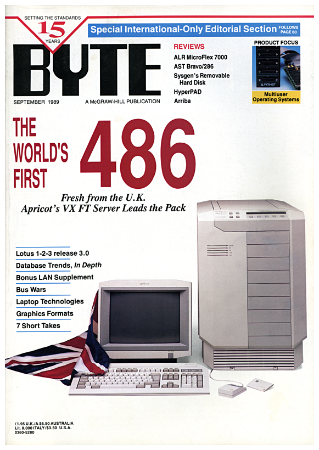 Release of the APRICOT VX. 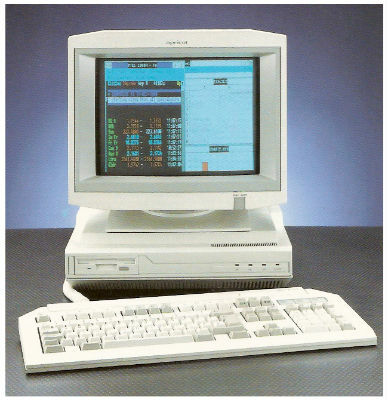 The first PC in the world with an intel 486 chip, burning priority to anyone else! Apricot is the 2nd largest PC maker in Britain. In April, Mitsubishi acquires the company for 10 billion ¥ (70 million USD). A strategic move for Apricot, as it appears that the IBM clone industry and the Microsoft-Intel symbiosis have made it impossible for a fully integrated hardware company to exist independently in the main PC market.